On November 5, 2017, COL Mark Young hosted the change of command of the 2nd Battalion, 298th Regiment, Regional Training Institute. 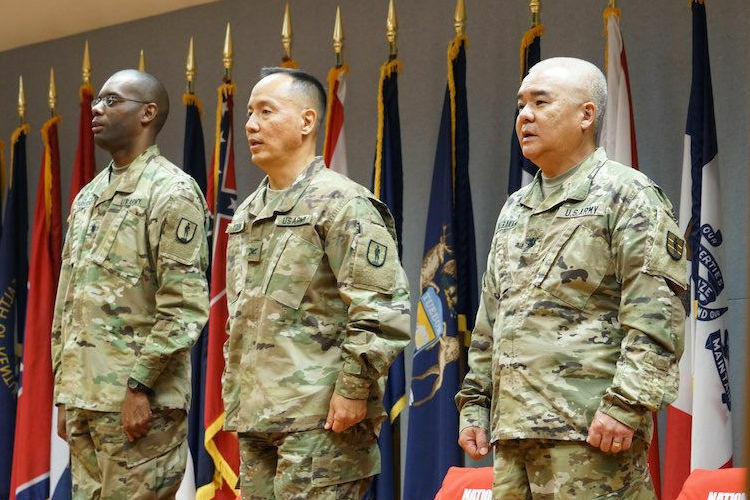 LTC Gordon Barksdale took command of the 2nd Battalion from LTC Melvin Murakami. LTC Barksdale comes from the National Guard Bureau. LTC Murakami becomes the HIARNG G6 as a MDay Soldier. He will continue in his full-time position at the US Property and Fiscal Office for Hawaii. Congratulations to both officers on their new positions.